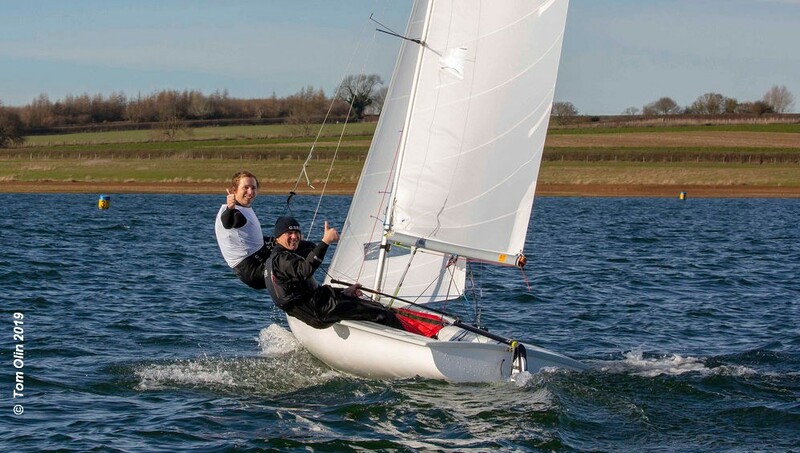 Neil Marsden and Jonny McGovern sailing an International 420 are winners of the 2019 John Merricks Tiger Trophy. Marsden and McGovern finished three points ahead of Simon Horsefield and Katie Burridge in a 2000, with another Int-420 of Arran Holman and Pablo Garcia in third place. Horsefield and Burridge were the winners of Sunday’s pursuit race, with Marsden and McGovern finishing third. Son of Rutland, the late Johnny Merricks, won the first ever Tiger a quarter of a century ago in a 420 and went on to win the 420 World Championships. Johnny also happened to win an Olympic silver medal in the 470, and his old crew Ian Walker made a return to Rutland crewing for Jess Lavery in the very same 470 that he and Johnny won their silver medal. They finished in 16th place.